he Transformational Tarot is a collaborative effort of Shirley and Peggy Gotthold. Shirley is a student and teacher of the Tarot and brings over twenty-five years of experience. Peggy is an artist whose diverse work is expressed in many fields of endeavor. Working together on this project brought out many of the unique talents of each woman. The Transformational Tarot represents a breakthrough enabling us to implement our opportunities for growth as we move forward into the 21st century. Its wisdom consists of a boxed deck of 100 cards in color, a book that explains and emphasizes the symbols and numerical significance of this Tarot, and a color chart that shows each card and its specific relationship to the whole. The Transformational Tarot deck itself is unique in several respects: first it is made up of 100 cards (the Fool, 27 Major Arcana and 72 Minor Arcana) rather than the traditional 78. The additional cards are symbolic of the expanded potential available for our use at this time. Color is also used in a special way for the four suits (Wands, Swords, Cups, & Pentacles), that are symbolic of the human (inner knowing self, mind, heart, & physical being), each have distinctive and differently colored borders to help us appreciate each aspect of our totality. Even the major cards are uniquely highlighted with gold and silver. The accompanying book is a guide to the symbolism and power of the Transformational Tarot deck. The book is intended to help deepen our understanding of number for each of the nine chapters explore a single number and its relationship to the cards bearing that number. 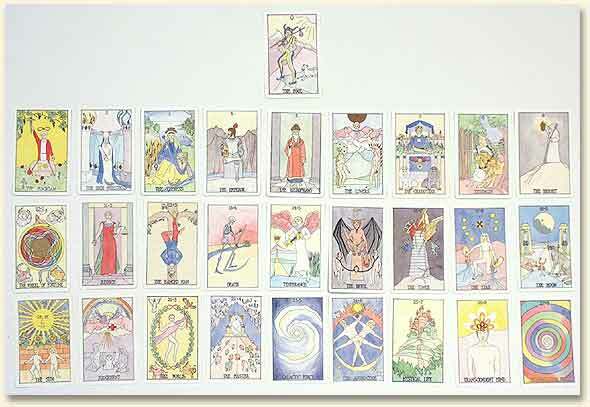 The expanded number of cards specifically implements the increased opportunities for personal growth. The book shows how to trust your own ability to interpret the meanings of the cards and offers a truly fresh perspective to assist you to grow toward the fullest expression of your potential as a living being. 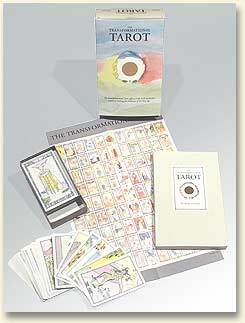 The set contains: The Transformational Tarot, a 180-page book, a full-color Tarot chart (12 x 18), plus the boxed deck of 100 full-color Transformational Tarot cards. The boxed set is $49.95. 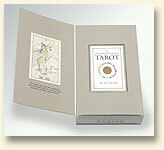 The book (including Tarot chart) is $22.95 and the Tarot deck is $29.95. Sales tax applies to California residents.